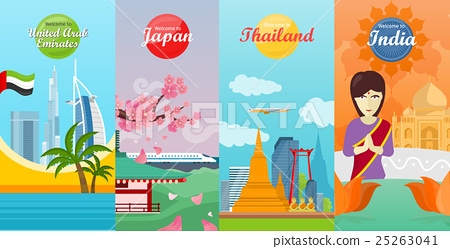 Welcome to India, United Arab Emirates, Thailand, Japan travel posters. Time to travel. Natural landscape. Travel composition with famous landmarks. Set of travel poster design. Vertical banners.